I like to keep an unchecked lottery ticket in my wallet, it gives me the possibility that I may have won the lottery, and be able to go off and retire at any moment. A bit like Schrödinger's cat, the theory is that as long as I haven't checked the ticket, I might have won. I can fill my thoughts with the possibility that if everything gets too much I can quit my job and finally do all of those things that we want to do, like track down that really annoying guy in the office and hunt him with a crossbow, safe in the knowledge that a helicopter, fake passport, and a pretend cousin in Bolivia are available to start your new life once you've taken your revenge. 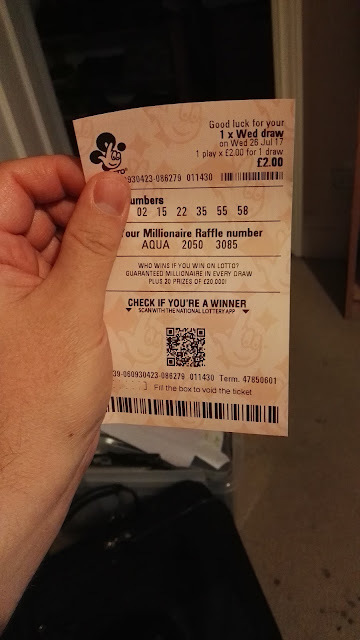 Sadly, I've checked this ticket and I haven't won. I'll have to buy another. 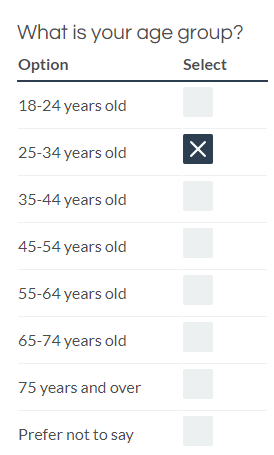 FYI to any survey companies, if you need surveys completing by someone in the 18-34 bracket, let me know today, from Sunday I'll have to remember that I'll be in 35-44 years old grouping! 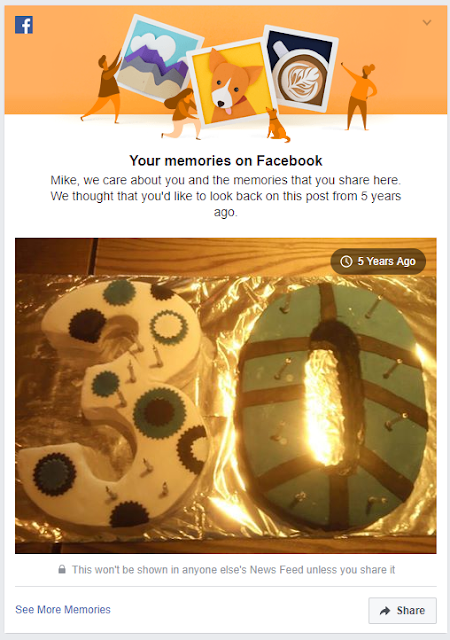 It's not five years ago yet Facebook, there's still a day to go! I like the way you think, a lottery ticket is only as good as its numbers, and they are perfect until some fool chooses the wrong numbers and ruins everything. I lake the way your wife bakes, too.